Hi, everyone! Happy New Year! Hope you all had a great long break from work or school. I know I did! I’ve been cooped up in the attic playing FIFA or marathoning The Big Bang Theory. Haha! 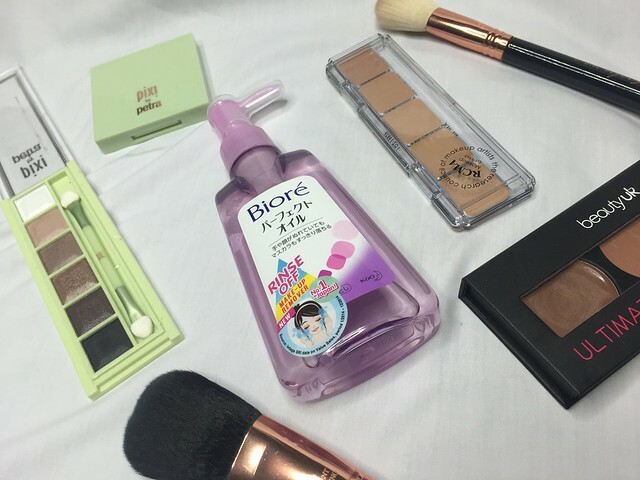 So anyway, for my first article for 2016, I decided to write a review on Biore’s Makeup Removing Oil, which I’ve been hearing and reading so much raves about. Incidentally, I ran out of my old makeup remover so when I was in Power Plant Mall with my family and the Cupcake yesterday, I decided to check out Personal Care Exchange and bought one for Php 299. 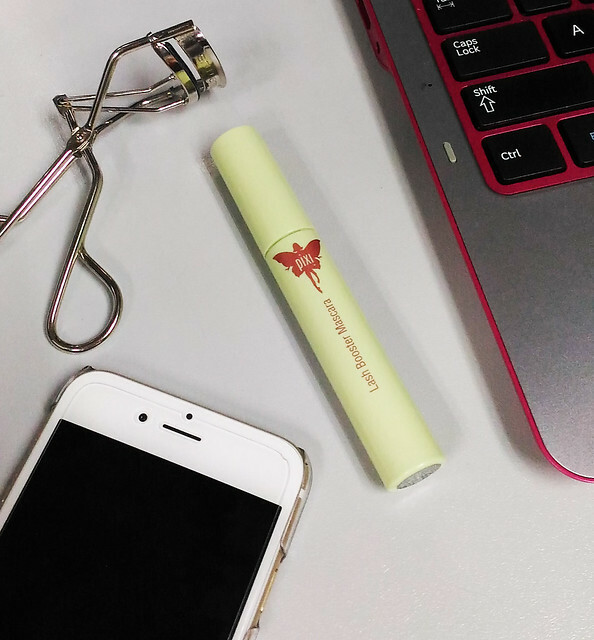 I used it today after hearing mass, and to road test it, I decided to wear a product that can be challenging to remove—Pixi’s Lash Booster Mascara. 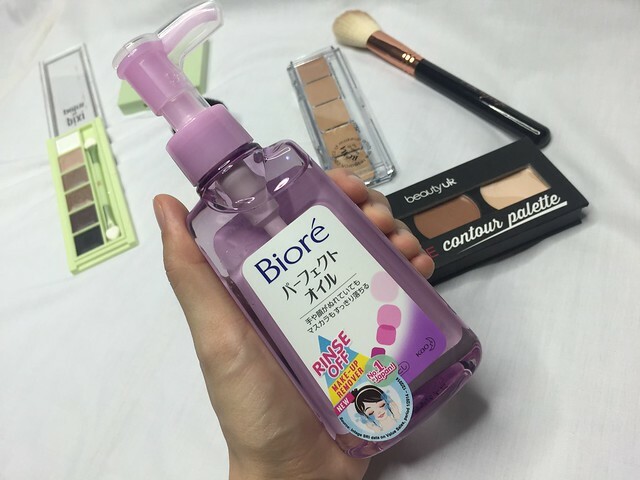 To be honest, after I read all the hype on Biore’s Makeup Removing Oil, I was expecting it to be pricier than its actual SRP. But it was surprisingly affordable! 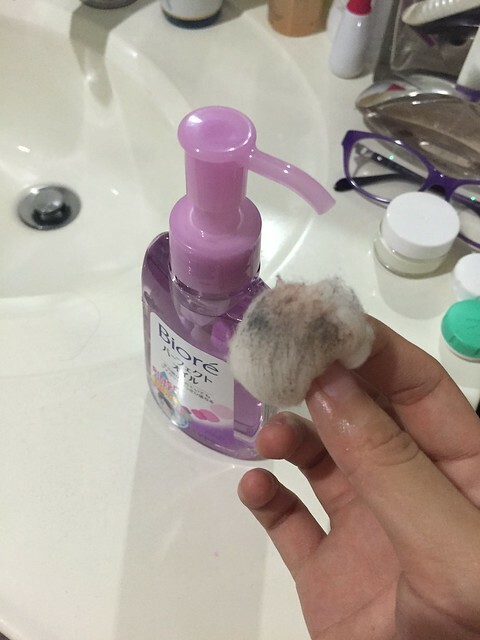 After using a cotton ball, I followed the instructions indicated in the bottle and placed a few drops on my fingers before gently smearing it all over my eyes. This removed the eye shadow right away, and broke down the mascara, which made it easier to wipe off. It took a couple of cotton balls and facial tissue to clean everything out! The verdict: it’s definitely a better makeup remover than my old one, because of the way it dissolves and cleans out the makeup faster. Though I’m not a big fan of oil-based removers, this one washes off right away with water (no need for soap)! Because of the hype though, I kind of thought one swipe would magically clean out the makeup gunk with no effort—but I guess a girl can dream! It’s still a great product that I would recommend if you’re looking for a makeup remover under Php 300. You can easily just rinse your face instead of wiping with a cotton ball/tissue. I find it more effective that way. I have oily skin, does that mean it’ll just worsen my face? I just wish they have trial packs tho. What I use is Pond’s cold cream for stubborn mascara and whenever I tightline, then proceed regular wash.